China Detains Activist Investigating Factory Making Ivanka Trump Shoes : Parallels Two other Chinese labor activists are missing and presumed to be detained by police. The three were working undercover to document alleged labor abuses. A Huajian shoe factory, which has been investigated by labor activists, makes Ivanka Trump-branded shoes, among others, in China. "They said, 'You only need to know that your husband has been arrested on criminal charges,' " Deng told NPR by phone from her home in Hubei province. " 'You don't need to know anything other than that.' "
Hua works for China Labor Watch, a New York-based group that investigates violations of workers' rights. China Labor Watch says two of Hua's colleagues are also missing and presumed detained. Deng said she has not informed the couple's two young children, her own parents or Hua's about the incident. She wants to keep from upsetting them. And she says she is indignant at how police have treated her husband. "I understand and support my husband's work," she said. "I feel his work is legal and meaningful, so why should they arrest him?" 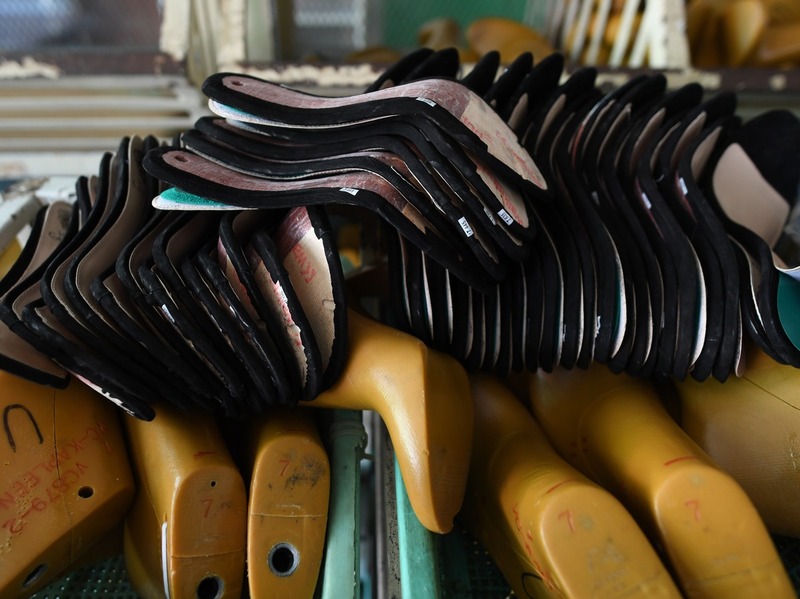 The Huajian factory makes as many as 20,000 pairs of shoes a year for the Ivanka Trump brand. It makes millions more for others, including Coach and Nine West. Factory managers couldn't be reached for comment by phone. China Labor Watch director Li Qiang says his investigators worked undercover in the factory for more than a month and shot some eight hours of video footage. The Ivanka Trump Collection is on display in the lobby of Trump Tower in New York. He says he has evidence that workers at the factory were forced to work overtime without pay. One instance happened, he says, after a batch of shoes was found to have defects. "The workers all wanted to leave," he says, "but they couldn't, because if they did, they'd be fired. So they were forced to work until 1:30 a.m., and they had to go back to work the same morning at 7:10 a.m."
Li says he also found evidence that workers were threatened with dismissal if they took sick leave and that they were forced to sign falsified time sheets. Li says he investigated the Huajian shoe factory precisely because it was making shoes for the Ivanka Trump brand and he thought he could leverage that to help the workers. "We're helping Ivanka to discover labor abuses at the factories that supply her," he says. "That way, she can improve her supply chain. We also hope that through her influence, we can reduce labor abuses on the production lines of multinational corporations." Li says he is going to submit his video footage to Ivanka Trump's company. He believes that the police are trying to protect this factory because it makes shoes for President Trump's daughter. While he has no hard proof of this, he says that he has investigated hundreds of factories in China and that while his staff have often been caught and kicked out, they have never been arrested until now. He also rejects the police charges that Hua and his colleagues were using illegal surveillance gear in the Huajian shoe factory. Li says all they had were cellphones. When the factory became the subject of critical reports earlier this year, the state-run Global Times tabloid leaped to its defense, accusing Western media of "maligning the reputation of the Trump family by publishing distorted reports." Analysts say China's government has not hesitated to avail itself of the back channel to the White House provided by Ivanka Trump and her husband, Jared Kushner. "China has no other choice," Renmin University international relations scholar Shi Yinhong said of Kushner in an interview ahead of last month's meeting between President Trump and Chinese President Xi Jinping. "Since Trump took office, U.S.-China relations have faced a rather dangerous situation. Luckily, China discovered someone they can talk to who has direct access to the president." 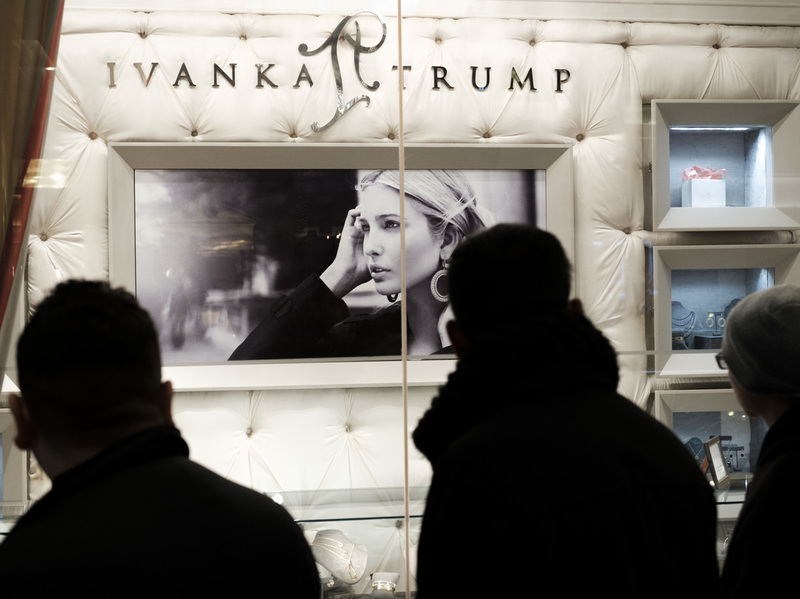 As the Trump and Xi families gathered at Trump's Florida resort in April, China's government approved three new trademarks to sell Ivanka Trump-branded products in China, although Beijing insists it gave her no preferential treatment.